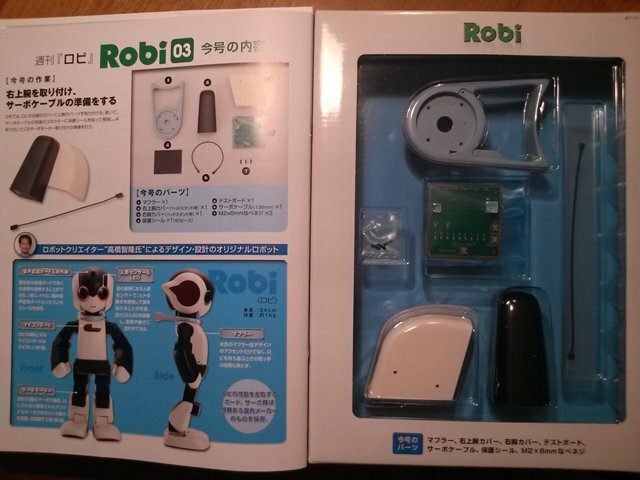 Once a week, subscribers of the japanese robot magazine “Robi” receives about five mechanical parts with the magazine. After 70 weeks they will have all they need to assemble an entire robot! Robi is a gentle-looking social robot with a lot of functionality, and the magazine is already completely sold out! Robi, is not just a piece of toy. It’s 34 cm tall and very autonomous with voice recognition, a vocabulary of 200 common japanese words. You can also play ball with it using its IR-sensor and do various other tasks, eg. as a timer when you cook pasta, or as a tv remote. If low on power, Robi must return for the charging chair. I would describe Robi as a social robot, almost as a robot pet. I heard about this through my japanese friend Nobu Ishiguro. In her family, they all get very exited when a new magazine hits the mailbox. As soon as I heard about the Robi-project, I was exited from the start, too bad this is only in Japan. But why is that BTW? The magazine contains more than just the mechanical parts. Articles about robot news, interviews with the designer Tomotaka Takahashi, robots in sci-fi movies, books and comics, background information and learning material about the components and of course: the assembling instructions. Iv’e written about the learning potentials in LEGO instructions earlier, and this is pretty much the same. 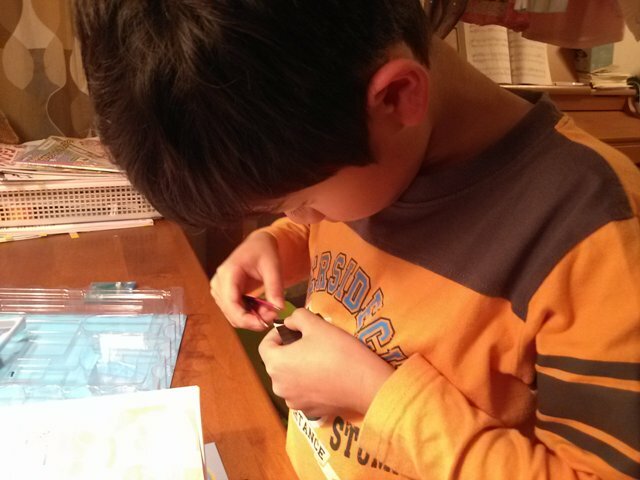 By scaffolding the building process in the beginning and gradually stepping back, the child will be more independent and easier understand the logic approach. My first thought, when I head that this DIY was stretched to last 70 weeks, was: Will kids be able to stay motivated for that long? It’s more than a year! Nobu and her children has just received magazine #3. Luckily, with 67 issues left, the motivation is still intact! The articles in the magazine keeps the children interested in the project, and with that, they learn more about robots and technology for every magazine. Hopefully only few children will lose the patience, and drop out before finish. The final price for Robi and the 70 magazines is about $1,750, just a bit more than what Robi would cost in stores, fully assembled but without magazines. Of course, Robi is japanese. They seem to be the country with the biggest fascination of robots and artificial intelligence. In America, they make industrial robots and warbots, and Europeans freaks out when they see a humanoid. I think one way to explain this, is through religion. In most of US and Europe, Christianity is the dominant religion. They believe that God created the humans, so when a robot is too human like, they tend to get scared off. 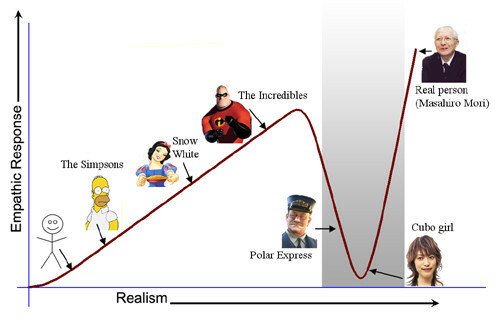 Masahiro Mori calls this The Uncanny Valley. Mori’s theory says, that we are not afraid of industrial robots, because they don’t look human, but with humanoids that looks human and acts like a human, it generates dislikes in many people. On the other hand 84% of the japanese people are either Shinto or Buddhists. They have Zen, and as far as I know, it can be translated into the christian term Soul, but when Soul is limited to living creatures, Zen also goes for artifacts as well. A pencil is also “Zen-able”, and that goes for robots as well. So, to the japanese people, a robot with a soul is less scary than one without. 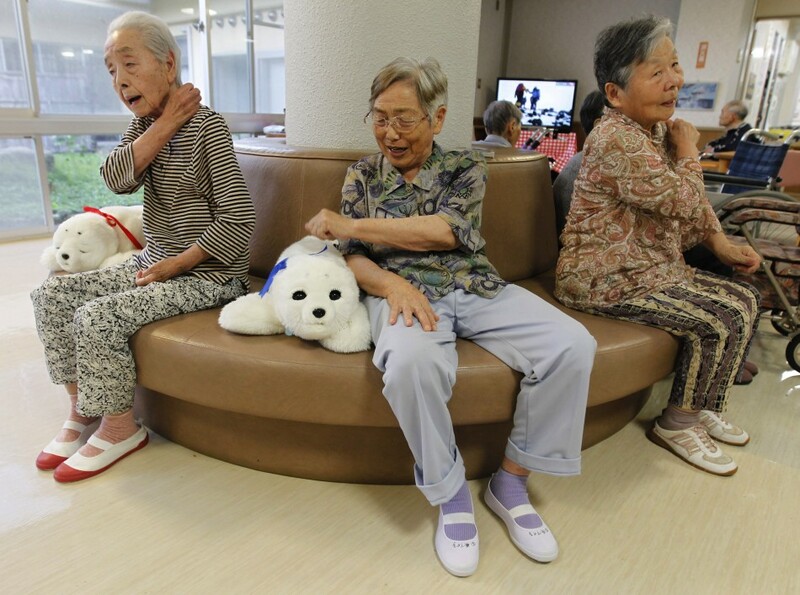 Many japanese sees their robot pets as just as alive as a cat or dog. The robot seal Paro is a great example of that. Another explanation could be the way robots are used in the media. In Japan, robots are often presented as heroes from outer space coming to the world to do good. Ultra 7 and Astro Boy are examples of that. In US and Europe, they have robots like Terminator, Transformers and even Frankensteins monster. They aren’t necessarily evil, but they are scary. Nothing cute about them. If you want to know more about the japanese robot culture, I recommend the documentary Mechanical Love by Phie Ambo. 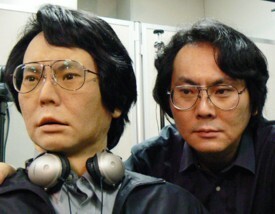 In the movie you will not only meet Paro, but also Geminoid, a robo-twin of the robot scientist Ishiguro Hiroshi. I was very lucky to meet him in Denmark, while participating in a research project with another one of his robots, the amazing Telenoid. But that is another story! Though being a European, I do think of Robi, humanoids and artificial intelligence as a deeply fascinating field of learning, and it doesn’t freak me out! very nice article – not many reviews in english (i have lived here 25 years and still my kanji so poor – my family is half ハフ (JP-AU) both languages spoken but english predominant. On why fear or not, i find that here those who oppose robotics replacing any pet or person – it is not nature that is the reason why. What you think of this? while robotics can enhance and help life, best is nature – that is what i hear. along with any technological advancement is the responsibility of looking at plus/minus values and be willing to accept or reject ideals. i hope you get chance in future order Robi and enjoy the works of creative engineers! me too some day will purchase. Please just tell me, where can i buy those magazines? Does anyone know?? This article is old. But it is exited.